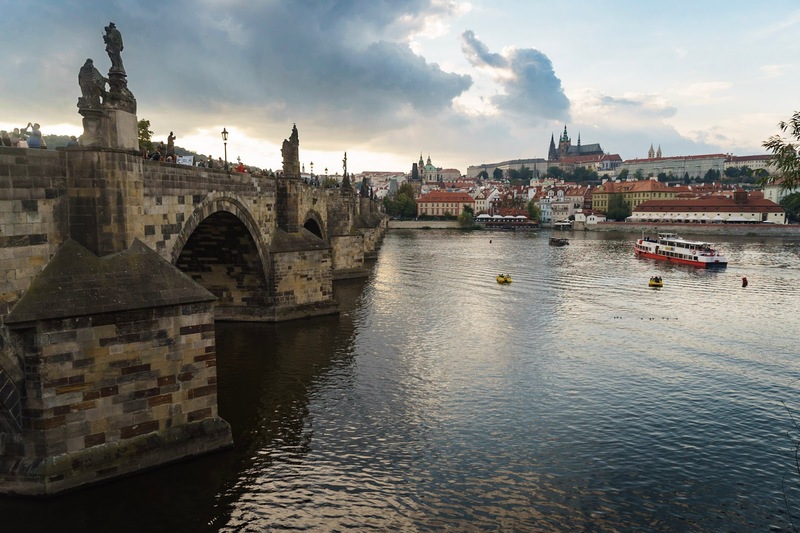 We recently visited Prague for a few days without the children, so an adult only break! We won the break as part of a competition I entered through Icelolly.com and although I was a little anxious about leaving the babies behind, it did us some good and we really did get to see the city in all of its glory. When Ben suggested we did this I cringed, tours are not really my cup of tea, the idea of trudging along after someone who likes the sound of his own voice really din't appeal to me. However a friend of ours recently went and said she had done a tour and really recommended it. Sandemans do a free walking tour, so we had nothing to lose. We figured if we hated it then we would escape half way though, but in fact we really enjoyed it. We saw more of the city in those 3 hours than we would have on our own, they took us to places we may never have visited and we came back with lots of interesting information on the country we were visiting. We did tip our tour guide so it wasn't exactly free but it was worth every penny, we had a really good morning. Yes everyone you talk to will tell you avoid the top tourist spots for food and drink because you will pay a premium and you could get better quality food and drink elsewhere for much less money, especially if you are in to craft ales. And yes that is true in our experience too. 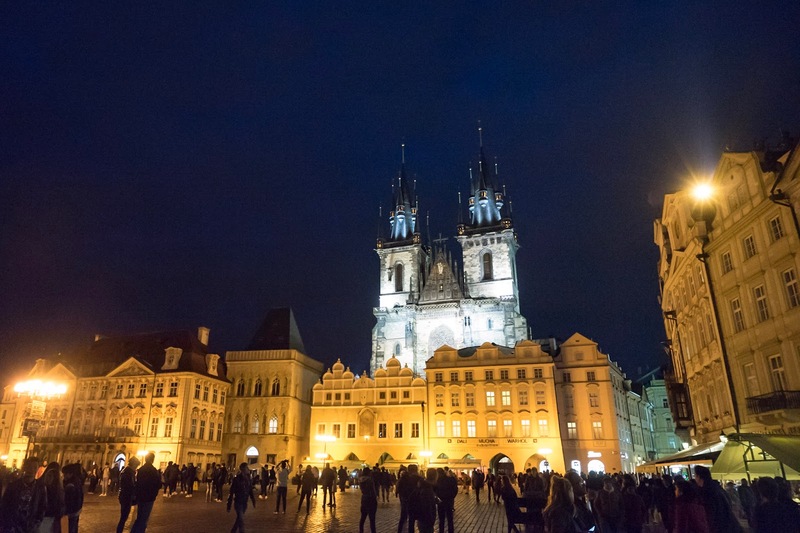 However, we sat in the square on our first night over looking the astronomical clock and it was just so entertaining watching the tourists hustling and bustling about and the street entertainers attempting to get all of the busy tourists attentions. Our food was actually good but we know we could have paid less elsewhere. It is nice for one meal though just to sit in the atmosphere around you. It is quieter in the evening than in the day but still busy. You will see above I am eating like a cake pastry type cone thing filled with ice cream, in Prague they are called a chimney and the day we got there we saw them everywhere! 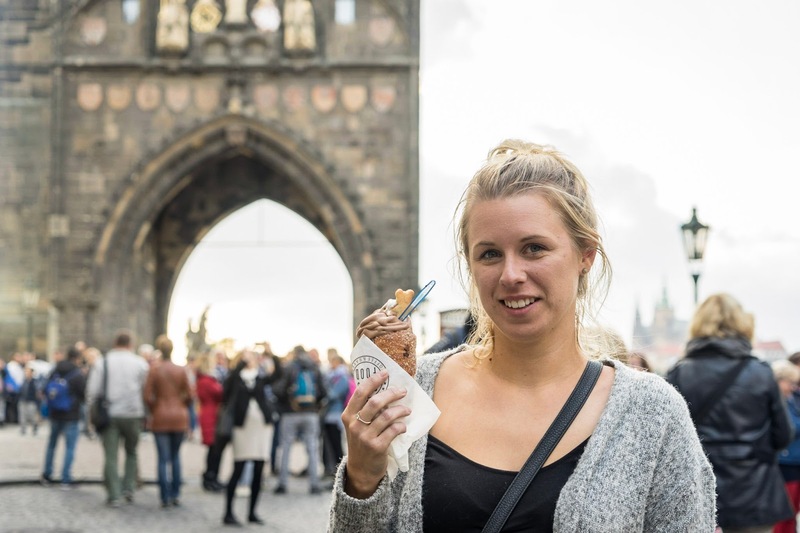 A trdelník is very popular among tourists in the Czech Republic, they come filled with ice cream or other fillings such as strudel and even beer! I stick to ice cream and chocolate with strawberries! And I am pleased to report it was delicious! I am no beer drinker and wouldn't generally order a beer of any kind if I went to the pub. 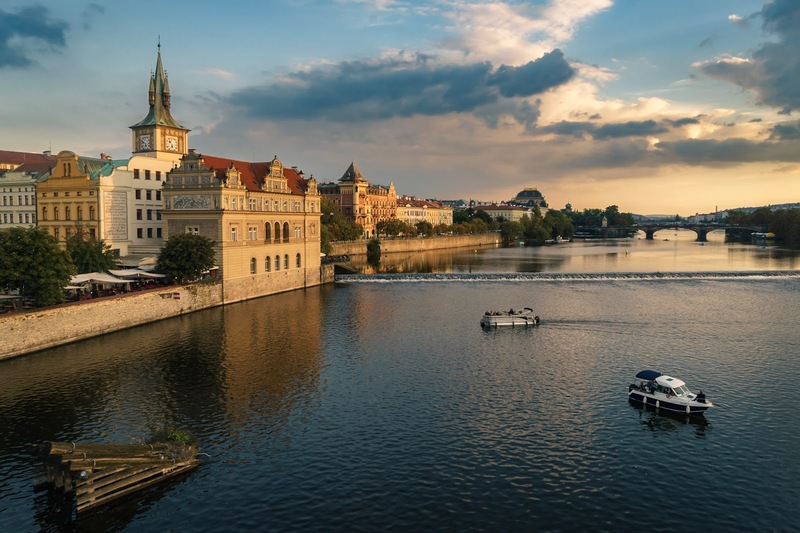 However, I know that Prague or the Czech Republic at least is renowned for its beer offering so we knew we had to get involved. Ben loves a good craft ale so was in his element and tried all the different kinds he had never seen before when he could. 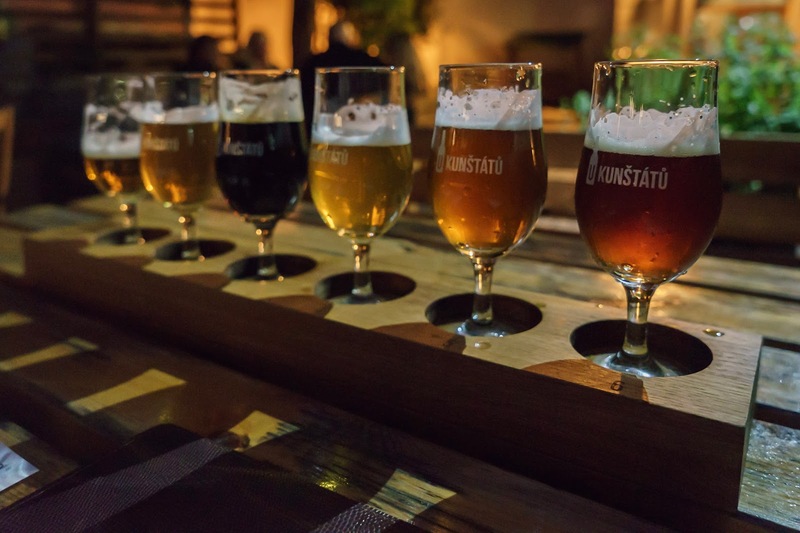 On a few occasions though we ordered a a sampler which is a board that comes with 5/ 6 different beers/ ales for you to try. And I actually really enjoyed giving them all a little try as well as Ben! And who knew, I actually quite liked beer afterall! Slightly obvious but go and visit the castle. It isn't a castle like you would expect after years and years of amendments and add ons to it but there are several parts to the castle and its grounds, including some beautiful gardens that will give yous om beautiful views. A little warning is that it does get busy there, the entrance that our tour guide took us was busy and we had to que for some time however there are several entrances so I would recommend researching this first! 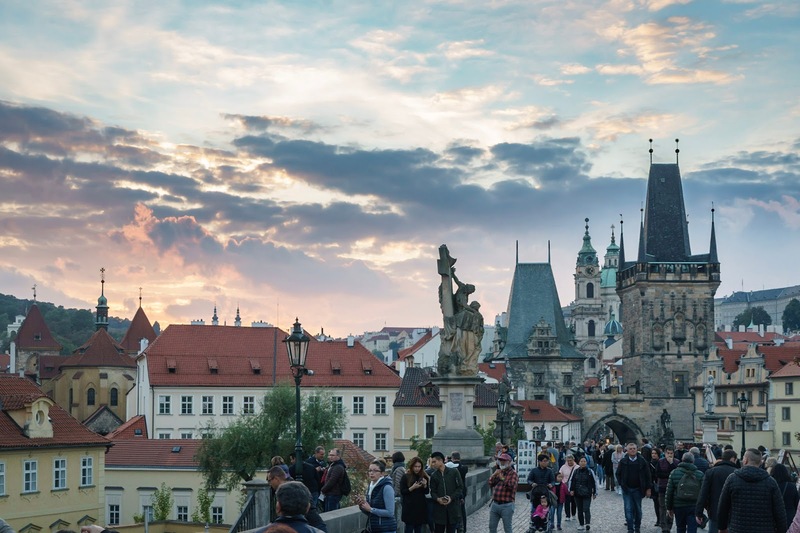 Its presence, along with the St. Vitus Cathedral (the pointy gothic towers you can see), can be seen from almost everywhere in the city. The centrepiece is the cathedral, which is right in the central courtyard. We took a tour and didn't get time to actually que to get in to the cathedral which was disappointing so I would recommend getting there early in the morning before all of the tours arrive or maybe head up there late on as it doesn't close until late most evenings anyway. 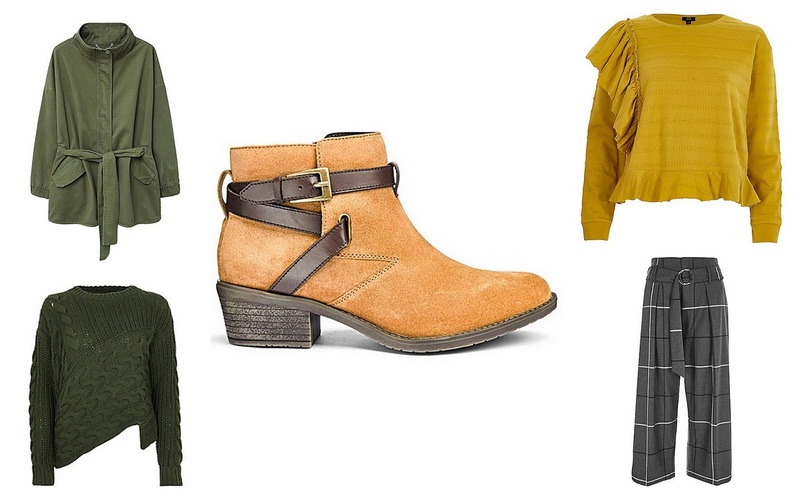 I absolutely love autumn, fashion wise it is my absolute favourite tome of year. I love it when it starts to get a little chilly, but it is crisp. And the main reason is that I just love the colours! I absolutely love how quilted jackets seem to be making a bit of hit this year, I am no fashion guru, absolutely far from it, but looking at some of LFW shows its clear to see that they really are here for autumn. Stella McCartney's show was a prime example. Although I think I will give the headscarves a miss! I have also noticed that corduroys have made a comeback ( did they ever go anywhere in my opinion?) and seem to be popping up in all the luxurious tones such as blush, burnt oranges, Burgundy and even teal. All the heart eyes! 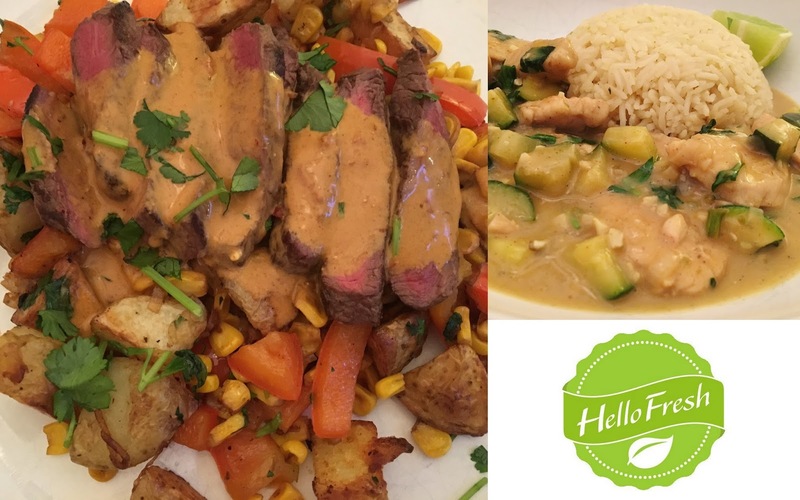 Giving Hello Fresh A Go | Getting Out Of A Rut! I have seen Hello Fresh popping up here, there and everywhere on social media for a while now and have ignored it all a little. The reason being I remember having a look some time ago and thinking it was pretty expensive for what it potentially could be. I am sure I also looked up our postcode and found that they didn't deliver to us so have been a bit blind to all of the hype. I recently watched one of Charlotte's videos though and found that she was offering a 50% discount code for your first 2 boxes so thought I would have a look if they could deliver to us yet, and they could! I was so tempted that I decided what did we have to lose. I should point out that I am not working alongside Hello Fresh and that I paid for it all with my own money. So I made an order for a 4 meal box for 2 people, it came a few days later. It was like Christmas waiting for it to be delivered and when it arrived we all excitedly opened it up and had a good look through it. The concept is great, who knew how intuitive having every meals ingredients prepared for you in its own little bag is. There is no faffing about in an evening on trying to piece something together for a meal once the kids are in bed, we literally grab a bag and menu card and get going. I say we loosely, I can't remember when I last cooked tea!!!! So my verdict was that I actually love the concept. Having a fuss free meal that can be made in between 30-40 meals laid out for you make with no trouble and no extra ingredients needed is literally a game changer for us. I mean we have always been fairly good at meal planning but still find ourselves stuck in a rut cooking the same things over and over, so new recipes are refreshing. I do think if it was full price (over £40) that it is expensive though, I look at the recipes and think I could buy the ingredients for less possibly, although all of the ingredients come really fresh and of good quality. I have just received my second box and if I am going to be completely honest then I am not blown away by this weeks recipes. you could go in and swap your menu about but I like the idea of being surprised each week, makes it much more exciting! I am not sure I will continue my subscription now it will be full price or not, I just cannot decide if it is worth it or not. It is certainly worth it for our lifestyle and ease in the evening but I am just not sure if it is a luxury we don't actually need. 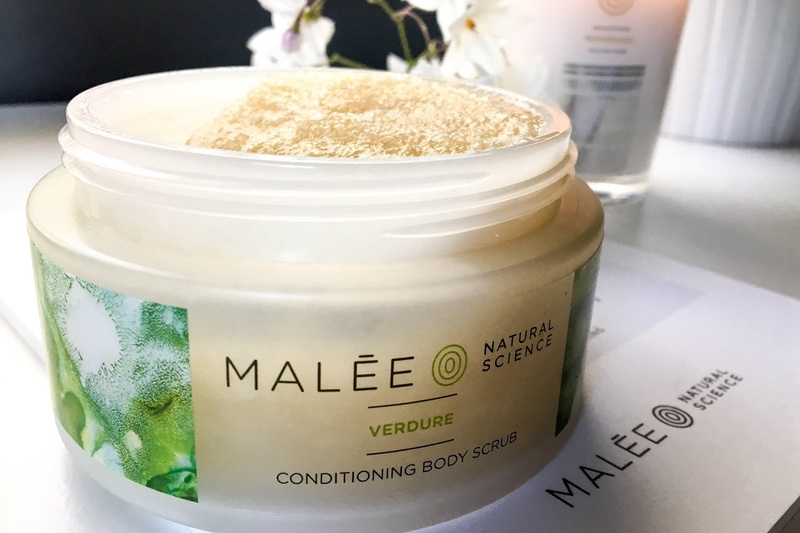 I was recently given the opportunity to try out some of the Malee natural science range. Usually I pass on this kind of offer as if I am honest, I just don't have the time to have a good look at them, test them out and then photograph and write about them. 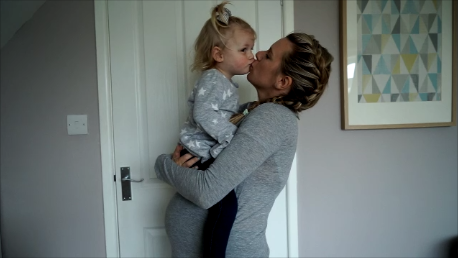 A lot of my content is more spontaneous now a days, having two babies to run about after isn't a walk in the park! 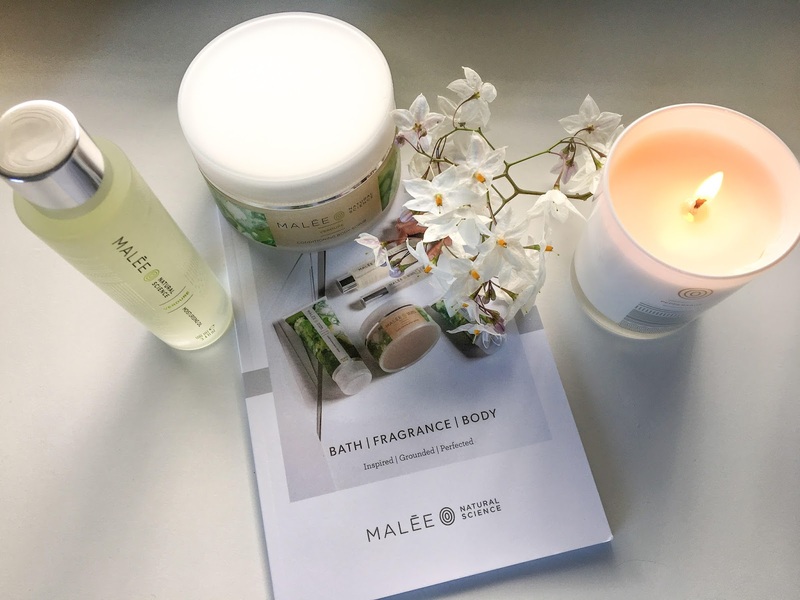 I had not really heard of Malee before and looking through their online range I was intrigued. The packaging is right up my street, clean, minimal and what I like to describe as Spa ready. SO I set to it choosing some products to test out. I had not long got back from a very hot fortnight in Cyprus and so my skin really did need a little TLC, as much as I am ashamed to say it, I am a bit of a sun worshipper. Although I do always use sun cream to stop any burning. But it did mean my skin was a little dried out and needed a bit of a moisture surge. So I went for the gorgeous moisturising oil, body scrub and well a candle, because who doesn't love a candle! 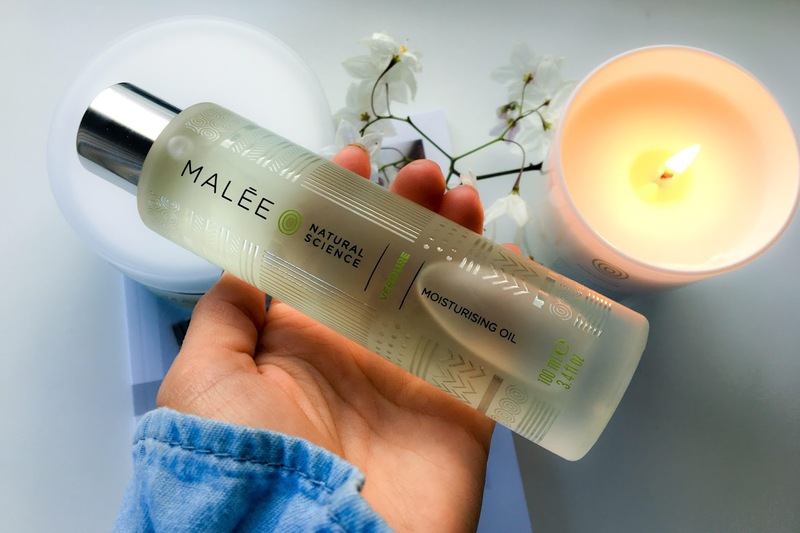 The moistorising oil is in a long glass bottle and you simply pour it out on to your hand and massage in where you need it. I have been applying daily after my shower or bath. 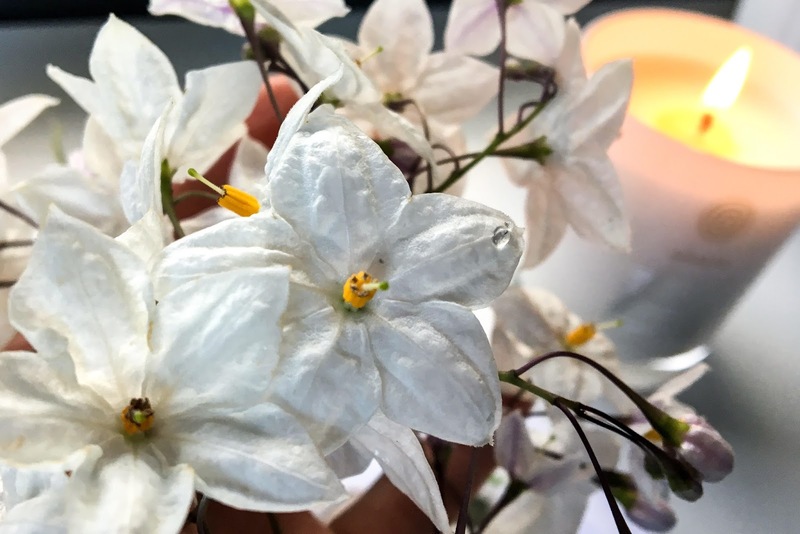 It doesn't leave any reside, leave you feeling sticky or slightly slick, it just leaves a nice sheen and your skin feeling healthy and refreshed. This actually is suitable for your hair and nails too, and although I haven't personally used it in my hair there is nothing that would stop me. I will actually give it a go over the coming weeks and feedback how I found it. Rich in essential vitamins, fatty acids and skin tightening peptides, it really is an all in one beauty product. One that is now top of my favourites list. Next up the Conditioning Body Scrub. The scrub is made up of Multi-grain natural salt, skin-loving oils and sugar, so no nasties. As you would expect or hope for. I have used very similar scrubs before, sugar based are my go to. I like the coarse scrub sensation and would highly recommend this one. If you have ever used the Trop Skincare natural scrub then you too would love this one. And on to the candle. I couldn't really tell you what Peppersage smells like, to me it is like a Spa. Fresh and luxurious but with a woody hint. I have only had it burning for maybe 6 hours and it barely looks touched so it is going to last a long time, which is what we want! I do feel that the range is quite expensive, it is high end. 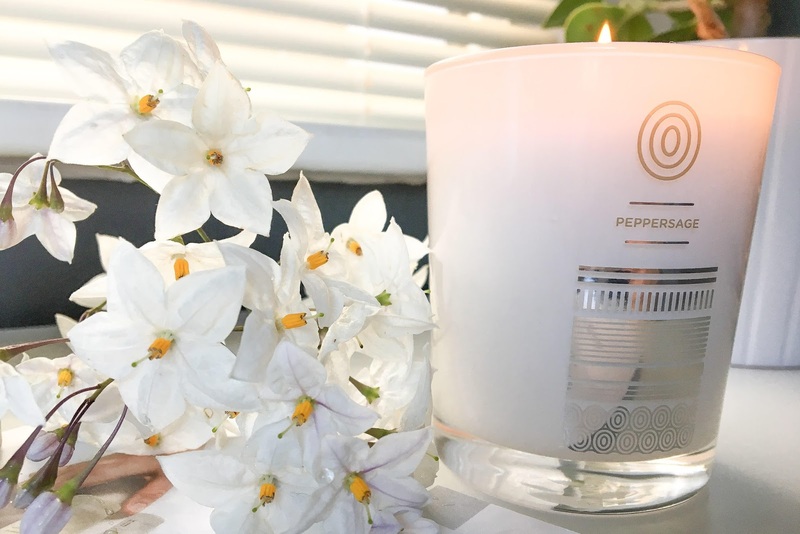 The candles have a RRP of £55 which to me is definitely at the top end of what I would pay but I do love the scent and the staying power really is good so you would get your monies worth. They are a great treat to me, and I will be repurchasing some of the products and would certainly purchase them as gifts. We finally had a time frame for our renovation work to get started - mid to end of October. i had given up on all hope of it ever getting completed and now it actually feels within touching distance and that means I can start to look forward to ideas and inspiration for our new spaces. I have done posts before on kitchen inspiration but I am now finding myself lusting after the decorative pieces and the soft furnishings, I think it is the darker nights drawing in that leaves me feeling the need to make things cosy and warm, and lived in. 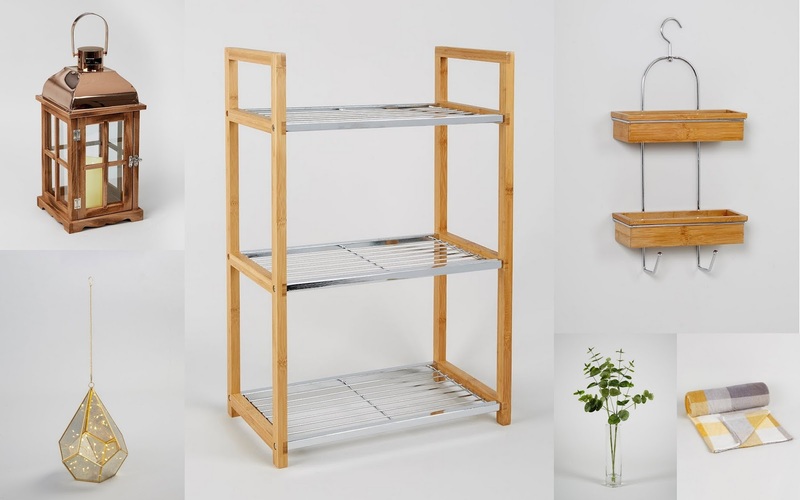 I am not daft, I know that these lovely, finishing touches will be the last thing to be considered and budgeted for but it is these things that keep me excited about the project. It is the light at the end of a very long, windy tunnel. 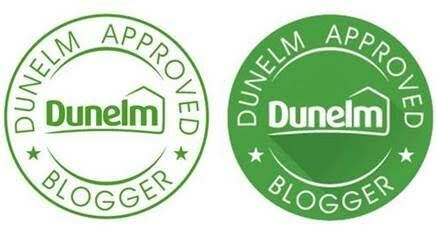 Getting architects drawings, planning permission and a builder has not been ages and well it has take 2 years. We started all of this when I was pregnant with Alex and he is now 15 months old, bloody ridiculous if I am honest. Sadly we were let down by an architect and builders are just so incredibly busy at the moment by us. But our new architect saved the day and has given us exactly what we want and it has all been signed off and given the go ahead. Fingers crossed for a quick turn around! I will talk about what work we are having done another day and probably do a tour of how it is now over on my YouTube channel but back to the Mood board. 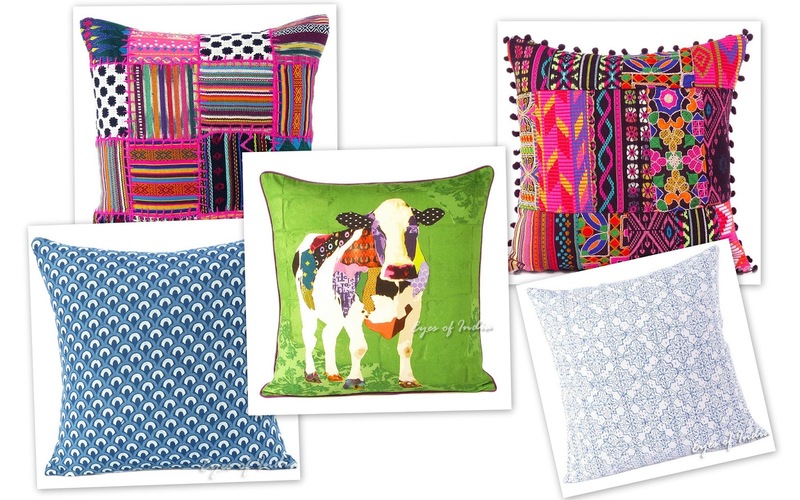 On the mood board above that is just inundated with cushions, they are all from a fairly boho business called Eyes Of India. Although I prefer a scandi based style a splash of colour is always welcome and needed in a house with young children but also some of those GEO patterns are just gorgeous. 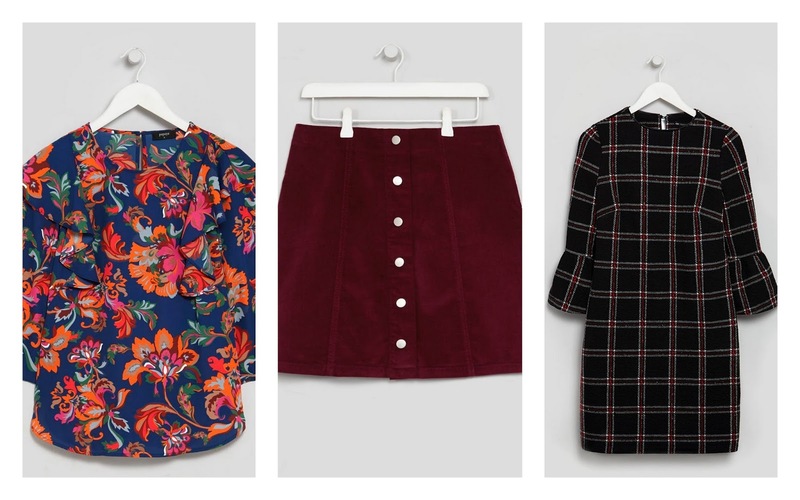 All of the above accessories are from Matalan's new homeware release and I could buy almost all of it. I have decided i will share my bathroom thoughts separately because there was about 12 things I felt like I needed right now, even though the extension hasn't even started! We have worked with the lovely people at Organix a few times now and this time we have a competition for our readers. Celebrating its partnership with the new Gruffalo River Ride Adventure at Chessington World of Adventures Resort, Organix are giving a lucky winner the chance to win a Gruffalo Book and a £10 bundle of its top selling Goodies healthy snacks. All you need to do is comment below with your favourite Julia Donaldson book and why it is your (or your childs!!!) favourite and we will be in touch with the winner, when they will be chosen at random before the 28th September 2017. T&Cs: One Book will be provided per competition winner. The prize is non refundable and non transferable and there is no cash alternative. 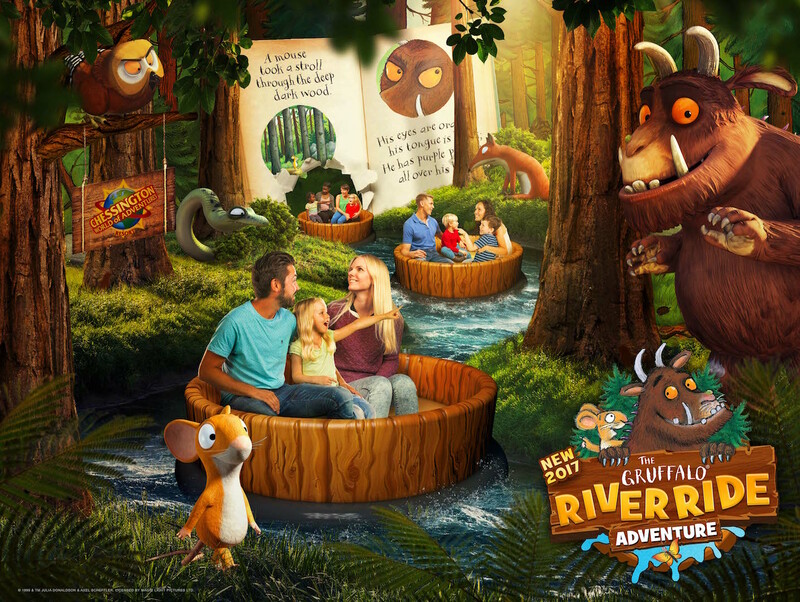 Organix Goodies is partnering with Chessington World of Adventures Resort and its new Gruffalo River Ride Adventure as it splashes into the Wild Woods, to offer little explorers (and mums and dads too) the chance to GO FREE*. 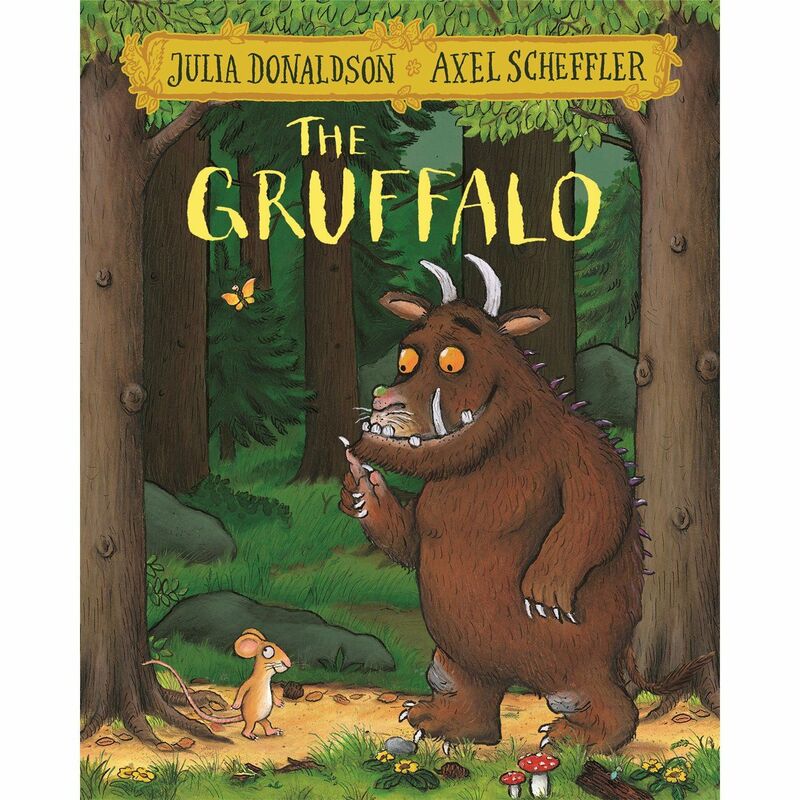 You can come face to face with the Gruffalo as you join Mouse on a picturesque riverboat journey through the deep dark wood, with exciting twists and turns along the way. We absolutely love theme parks and with the dare devil that is Daisy we will be going to test it out soon, hopefully! 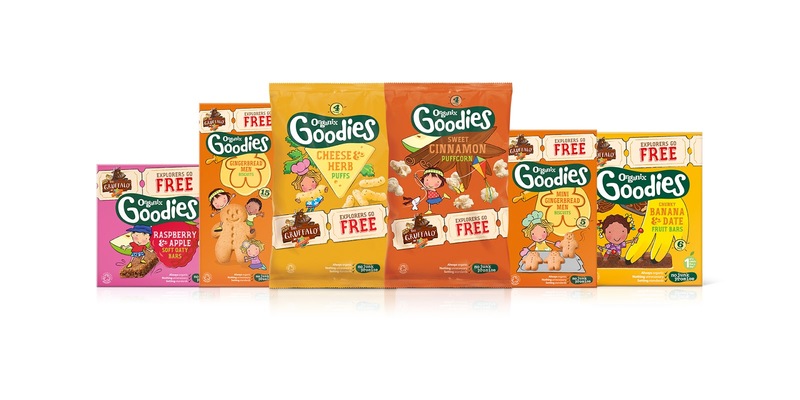 Look out for The Gruffalo** promotion on multipacks of your little ones’ favourite Goodies snacks – from tasty oaty, crispy and fruit bars; corn puffs, including the new puffcorn; breadsticks and gingerbread men, farm animal and alphabet biscuits. Each multipack contains a voucher which gives one adult or one child free entry to Chessington World of Adventures Resort. You’ll find the special Goodies Gruffalo packs in all major supermarkets and Boots stores from May 2017. We look forward to hearing all about your experiences at the park and the new ride! entrance until 30.04.18 at Chessington World of Adventures Resort. - Full priced adult tickets are £49 and full priced child tickets are £45. - To redeem, vouchers should be cut out and taken to the entrance. Adventure is only located at Chessington World of Adventures Resort). - Only one free adult or child per entry voucher. - Children under 3 enter the Theme Park free of charge. It is no secret that we love a camping session, and usually in the same spot, Barmouth way (Mid Wales). Photography is a hobby we both enjoy and I love using this little space of mine to share my photographs, for my own memories if nothing else. 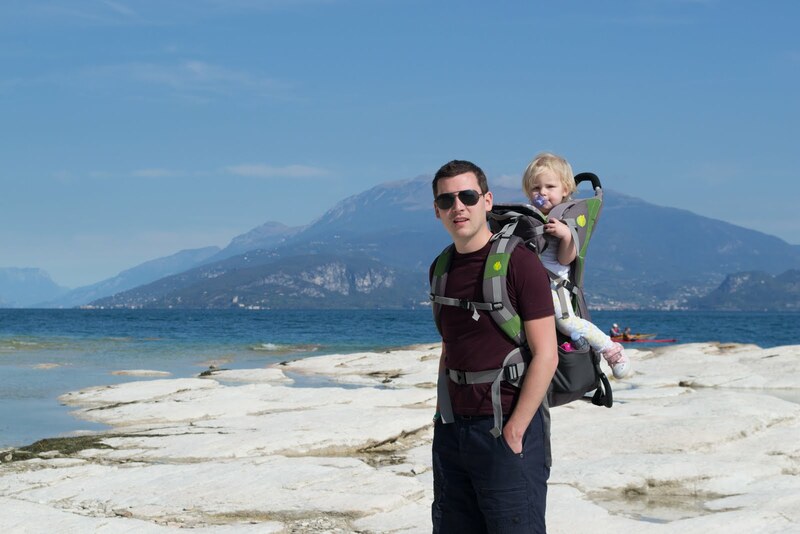 Camping gives us an excuse to get out as a family away from the day to day jobs and chores at a weekend, otherwise we find ourselves whizzing about here, there and everywhere and not really spending much time together. When you are away from home, without your usual electronics, which let's face it are life's biggest distractions for most of us you just seem to be able to sit back and enjoy the moments for what they are. Of course I film our weekends away and take lots of photographs, but for me that is what I enjoy, that is my hobby and something I love doing. But when I am away I may look at my mobile phone perhaps once or twice in a day, where as at home I really struggle to tear myself away from it. Which on reflection is a little sad. A little more about that... I have decided to discipline myself to step away from social media throughout the day. 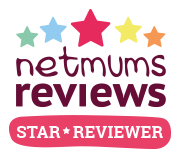 I always look in the morning, and with my blog I find I need to just to make sure all is up and running and nothing dramatic has happened over night! But apart from that, I will be attempting to not dip in and out of Twitter, Facebook and Instagram throughout the day. I was becoming glued to it and I think when you start t notice it yourself then it is time to step back from it a little. I am going to allow myself a bit of time on my lunch break for a quick scroll through but other than that it will be when the kiddies are in bed and I have some time to myself to catch up on some videos or my instafeed. I was finding myself getting enthralled in the feeds, dizzy with it all almost. A constant though whizzing about my head and I would see my phone in the corner of my eye and before I knew it I had wasted 30 minutes just reading other peoples updates. Time to step away. We tend to sit and eat together, okay so it is nothing fancy, simply a picnic on the beach and fish and chips for tea but at home we often do two sittings. The children eat early because they go to bed early and can't seem to be able to go much later than 530 ish for their tea and more often than not Ben is not back from work until well past 6pm. It is all the little things that make these weekends away count. When we are at the beach or on the campsite there is so much space for them to explore. We are lucky at home to live in the countryside and to have nice space in the garden but there is nothing like being away, somewhere new to stimulate their little senses. And usually on the beach, without the exception of telling Alex to stop eating things, they can just be free and wild, run crazy, explore and investigate things. What do you like to do to escape the mundane day to day life we can create for ourselves? We recently were invited to spend the day at Chester Zoo and although I have been several times in the past (we used to live in the city when I was studying at the university) I jumped at the chance. It is a great day out, a jam packed one but a really nice day too. I wouldn't usually dare to visit in peak times like the summer holidays because although I have my own children I don't tend to like to visit places where there will be millions of other children, I would rather go in autumn or spring when the children can run about without treading on everyone's toes or getting run down by a pushchair! But I really was pleasantly surprised. I guess I should have thought about it really, the zoo covers a HUGE area and so although there are thousands of guests at any one time on a sunny day (and it was a scorcher when we went!) they really are dispersed all over the park. So it really has encouraged me to go in the holidays again. I wouldn't have been able to take my nephew had it have been in school time and the girls would have had to have time off from nursery, so really it worked out nicely. We decided to go around the zoo "backwards". So when you walk through the entrance most people tend to naturally walk clockwise, past the elephants first. But we went right and went up past the Rhinos and headed to the Islands first. This meant we were not going with the masses and although it did get busy by the time we hit the Islands it wasn't too bad. The Islands are a great addition to the zoo. you can really see how new the area is and the enclosures have been really well thought out. We sadly didn't see the Sumatran tigers, they were hiding, but we did see the Croc and his turtle friends which we a big highlight for the girls! We took a picnic with us to the Zoo because I knew it could turn out to be an expensive day for us. It was inevitable that we would have an ice cream and because of the trip we had to get there (about 80 minutes) we would probably end up having tea on the way home too. There are loads of places to sit and relax so we sat by the new monkey area by the islands and had our sarnies. Then of course had ice creams and coffees later on. Oh and gifts from the gift shop of course! I guess my only downfall of the zoo would be that it is an expensive day out but I don't begrudge paying it on special occasions (we often go for birthdays) especially as I am all for the conservation of the animals too. Anything we can do to help, even if it is a drop in the ocean. The only other thing I would say is there is just so much to do there, it is a struggle to get around it all. The new play areas are brilliant and the kids absolutely loved it, little and large. But we couldn't spend too much time there because we just had so much to cram in and see! Daisy wanted to see the Flamingos, Mollie the pigs (wart hogs did the trick!!!) , Dan the wild dogs and Jaguars and Alex took a liking to anything big like the Elephants!